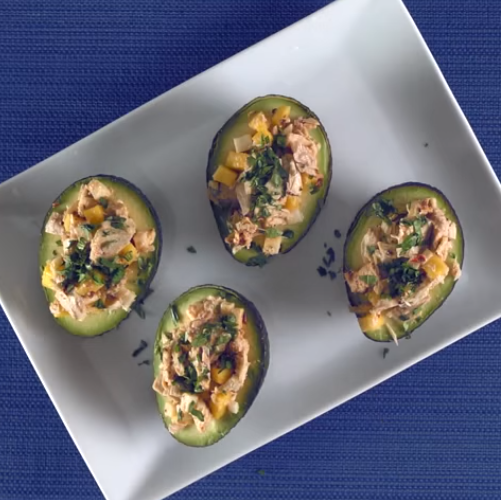 If you don’t have avocados on hand, you can serve this delicious tuna salad in leaf bowls, in a hollowed-out tomato, on toast, or even in grooves of celery sticks. You could, of course, go old school and serve it on toast…. do you have any idea how delicious StarKist tuna salad on toast sounds right about now?? The recipe below is out of this world – since I’m deathly (literally, it seems) allergic to mangoes, I leave them out. I replace them with chopped green grapes. For whatever reasons, grapes and tuna fish make the perfect pair. Then again, as far as I know, mangoes and tuna fish do too – you’ll have to try and let me know! See more StarKist Tuna Recipes. You just gotta love irony, don’t you? 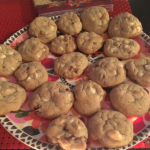 Here I am, an avid cook/baker, and food blogger and one of my husband’s favorite things I make doesn’t even require a minute of cooking time. Doesn’t even need a good nuking! The boy loves Cowboy Caviar like it’s his job. I try to make some up as often as good common sense and reason dictate (in spite of the fact he’d eat it every week, left to his own devices). 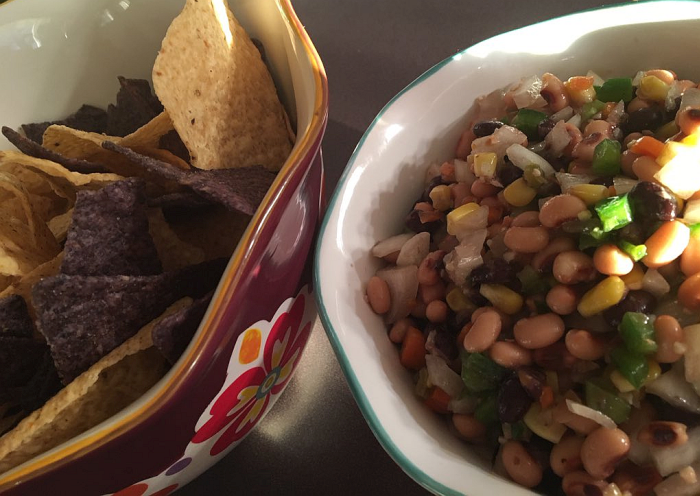 The cool thing about Cowboy Caviar is you can go all “free kitchen spirit” and throw in your own favorite flavors – as long as you stay reasonably close to the proportions and remember that everything does need to fit on a tortilla chip. 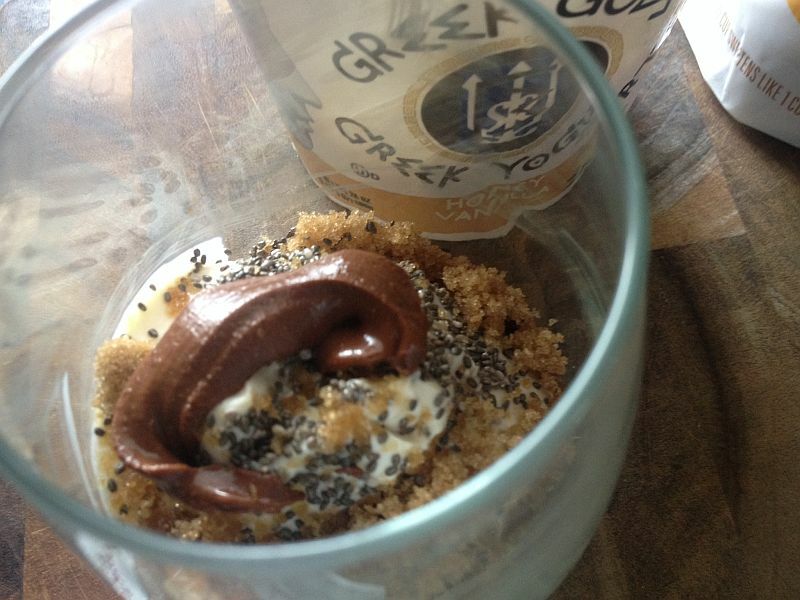 The recipe below is how I made this particular batch – I honestly don’t think I’ve made two ever exactly the same. If this is too much jalapenos for you, cut the amount. The same goes for the salt – if you’d like more, add more – if you want less, add less. 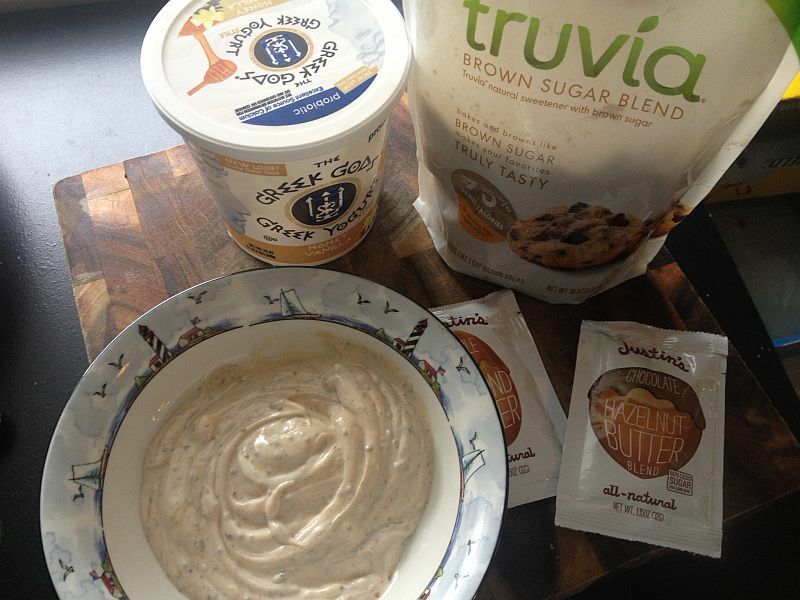 Just go slowly with the salt because you don’t want to overpower all the flavors going on. 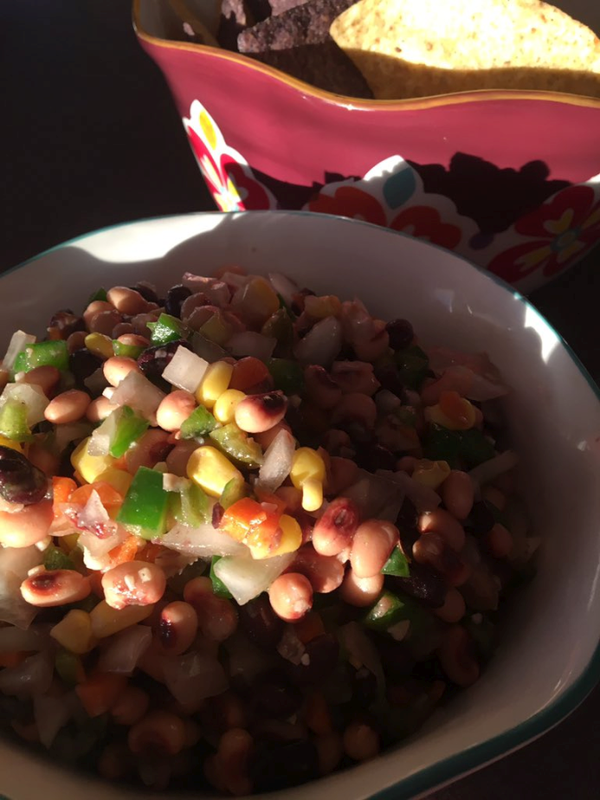 Cowboy Caviar is a favorite “go to” recipe for Summer lunches and suppers but it’s also IDEAL for busy times of the year, like the holidays and Christmas when we’re (quite honestly) too busy to even think about cooking! 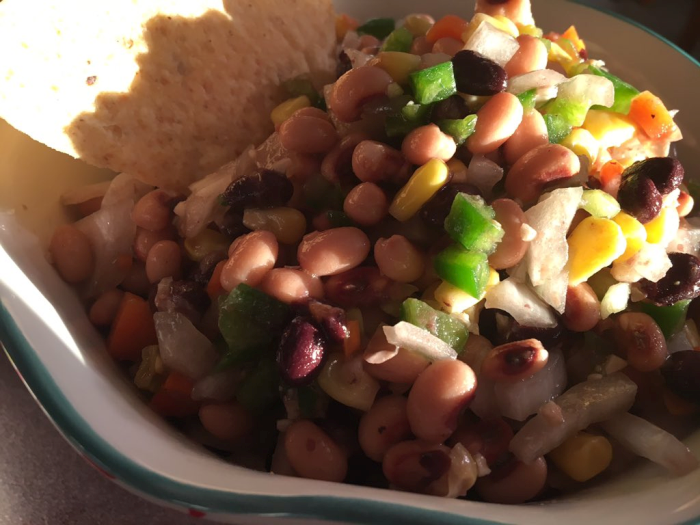 As I’m serving Cowboy Caviar, I like to drizzle a little extra EVOO on top – makes it shiny and, what can I say, I’m crazy about the flavor. Combine everything in a large bowl and stir well. That's it! Pictured: My beloved Pioneer Woman bowls my daughter Brittany gave me for my birthday. They’re two of a three part set that are just gorgeous. They’re available in most Wal-Marts, as well as online. Click here to find where you can buy them online. 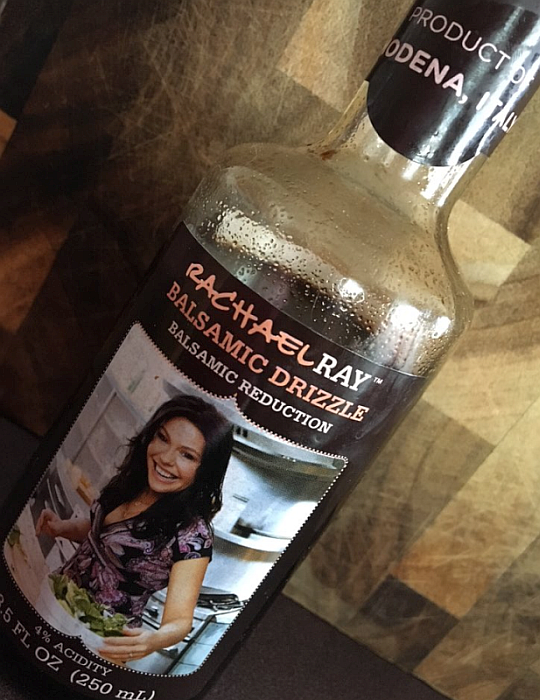 I’m over the foodie moon in love with Rachael Ray’s Balsamic Drizzle (Balsamic Reduction). It’s HEAVENLY on chicken but my favorite way to use it is shown here: a Balsamic-Drizzled Tomato, Mozzarella, and Basil Appetizer that is beautifully delicious (and deliciously beautiful) with pasta, pizza, or even on its own. It even makes a delicious (and filling) lunch all by itself. 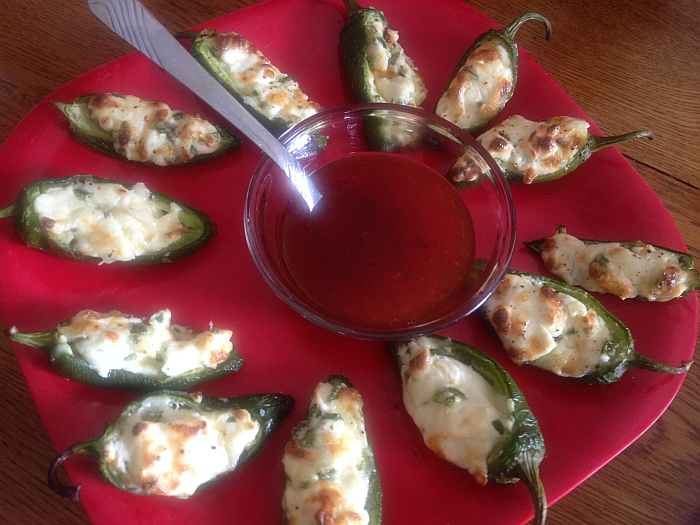 One of the coolest things about this appetizer/lunch is it needs no recipe. It’s kind of refreshing to break away from “exacts” every now and then, isn’t it? 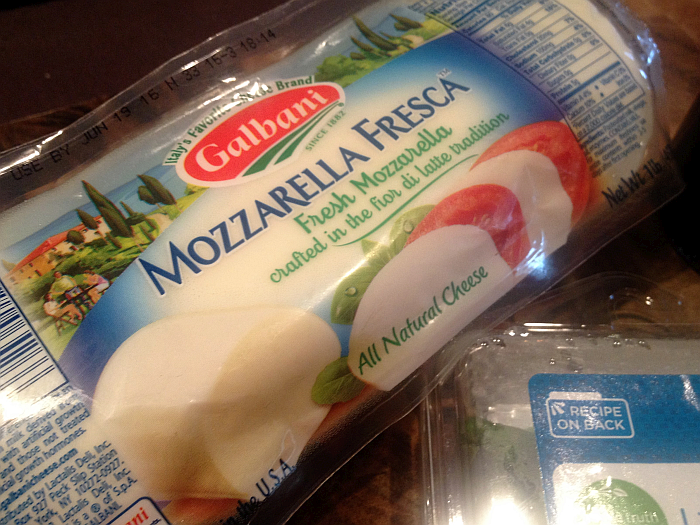 Layer your basil on the plate or platter, then arrange the tomato slices and slices of Mozzarella on top. 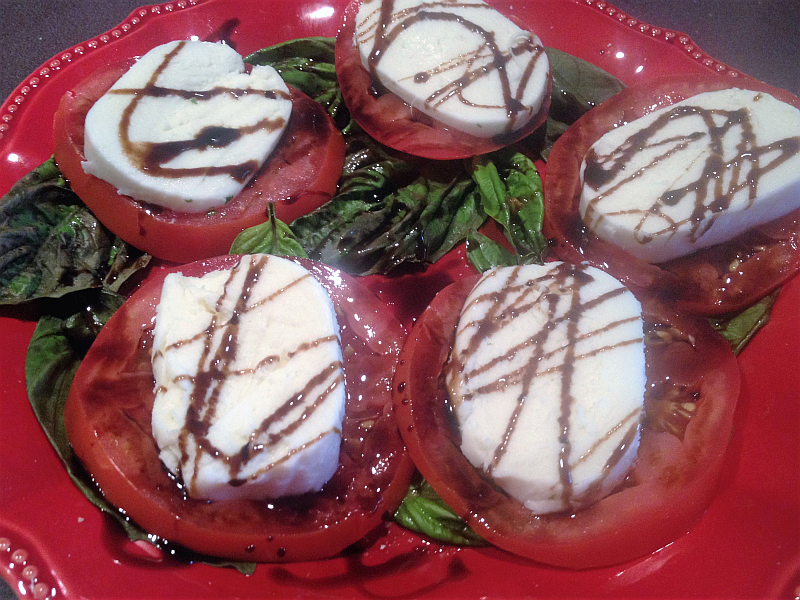 Drizzle the entire production with the Balsamic Drizzle. This beauty makes a perfect appetizer, quick lunch, OR a replacement for tossed salad with pasta or pizza. The April Eat. Feed. Love. Taste Club Box included a jar of bacon-liciousness, Empire Bacon Mayo. 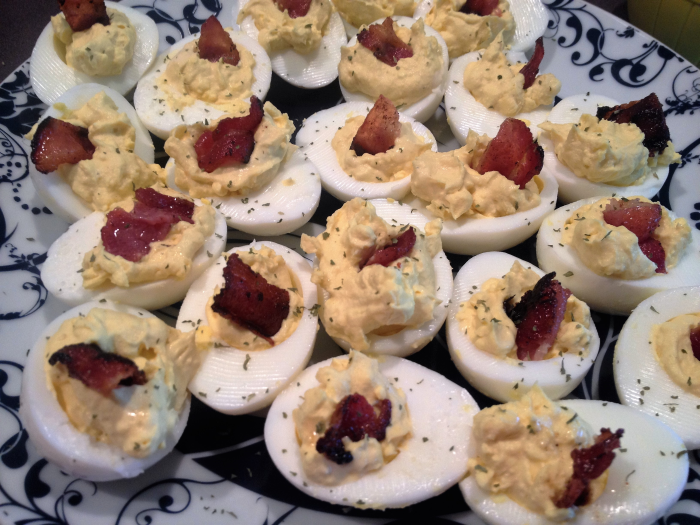 One of the recipes included in the box was Bacon Deviled Eggs, which I made, like the very next day. They were out of this world. The Empire Bacon Mayo is also great on sandwiches, of course, and gives a whole new meaning to BLTs and, as you’d imagine, egg salad sandwiches. Empire Bacon MayonnaiseSpeaking of egg salad sandwiches, the beauties pictured here (if you have any left, that is) could go on to another life as egg salad. I often say that a cook is only as good as the ingredients he/she uses. 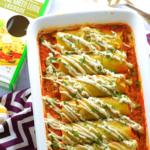 If you want to make the kind of meals that people will be talking about for weeks and even months – you have to arm yourself with the best ingredients you can round up. But there’s more to it. It’s all about catching people (and even yourself) off guard and mixing things up. Everyone loves originality – especially when it involves bacon! This mayo is simply wonderful and, quite frankly, is a lot of fun to use. 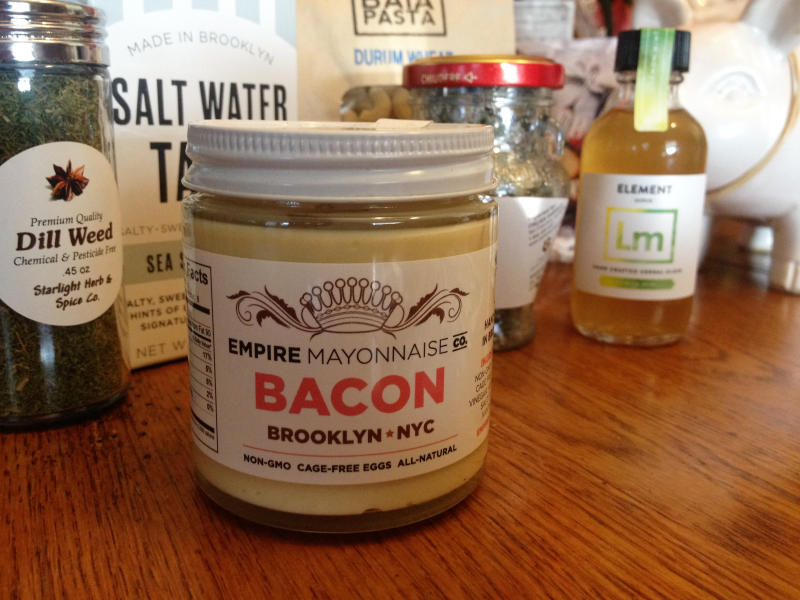 See Empire Bacon Mayo for more information. 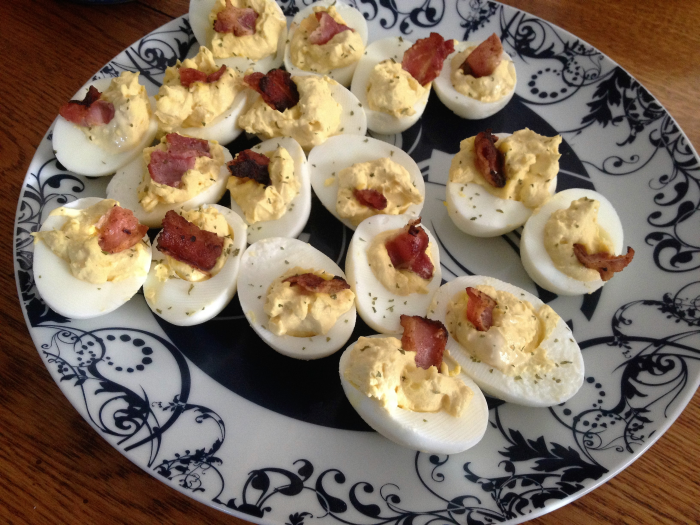 You can find the Bacon Deviled Eggs recipe on Eat. Feed. Love. Just click the link! Read my April Eat. Feed. Love. 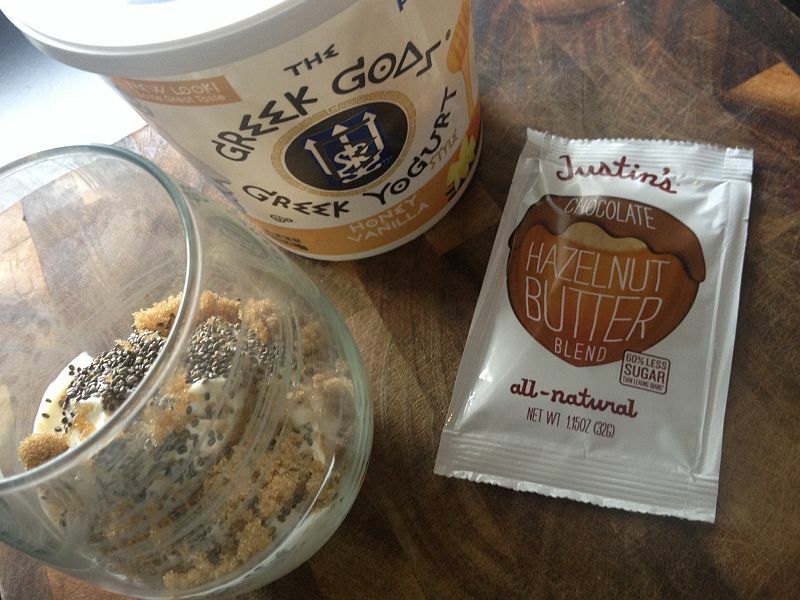 Taste Club Box Review to find out how you can save 20% on this delicious mayonnaise! Food Network’s popular “Chopped” Host, Ted Allen recently shared some of his favorite pickling secrets with AARP. His recipe for Refrigerator Pickles can be complimented with his famous Deviled Eggs (below), for a delicious meal any time of the year. Ted Allen and his recipe are featured in the June/July 2015 issue of AARP The Magazine. In two 1-quart Mason jars, add dill, seeds and peppercorns. Using tongs, remove garlic from brine and add to jars. Pack jars with vegetables and chilies. Bring brine to a boil and pour over vegetables, to cover. Cool, cover and refrigerate. The pickles are best after a few days and keep for up to 3 months. Put the eggs in a saucepan, cover with cold water by 1 inch, and bring to a boil over high heat. Reduce heat and simmer for 10 minutes; then drain and immediately plunge the eggs into an ice bath to cool. Peel the eggs, slice in half lengthwise, and scoop out the yolks. Put the whites on a platter. Pass the yolks through a sieve in a medium bowl, or just mash with a fork. Mix in the cheese, mayo, sour cream, chives (reserving 1 teaspoon for garnish), chipotles, paprika and salt. Use a pastry bag fitted with a 1/2-inch tip to pipe the filling into the whites — or, if you’re less fancy, use 2 spoons. Sprinkle with the reserved chives. 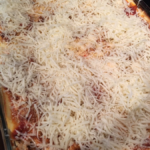 Cover loosely with plastic wrap and refrigerate until serving, which should be within one day. AARP’s website has A LOT of wonderful articles and tons of recipes – great recipes, at that! I just wrote down the ingredients for a Kale Caesar Salad that I plan to make this week. When I finish up here, I’m going back to check out more of the recipes. Bacon. Cream Cheese. 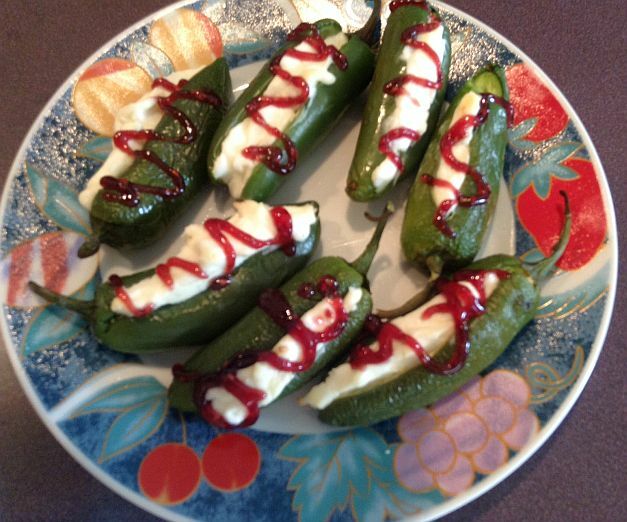 Jalapenos. Enough said, right? These oven-baked little beauties are as delicious as they are easy to make. They’re also easy on the budget – something else we’re all looking for these days. First of all, be careful when working with jalapeno peppers. If you want to be entirely safe, use disposable gloves. 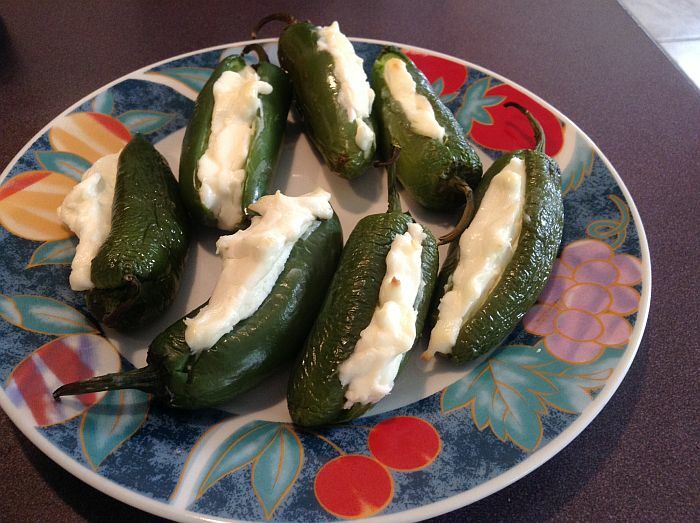 Handling the inside of a jalapeno can burn your skin – and if you transfer the oils to your eyes…. AGONY! Take extra precautions and don’t touch your face, whatever you do. Can you tell that this gal has been there, done that? 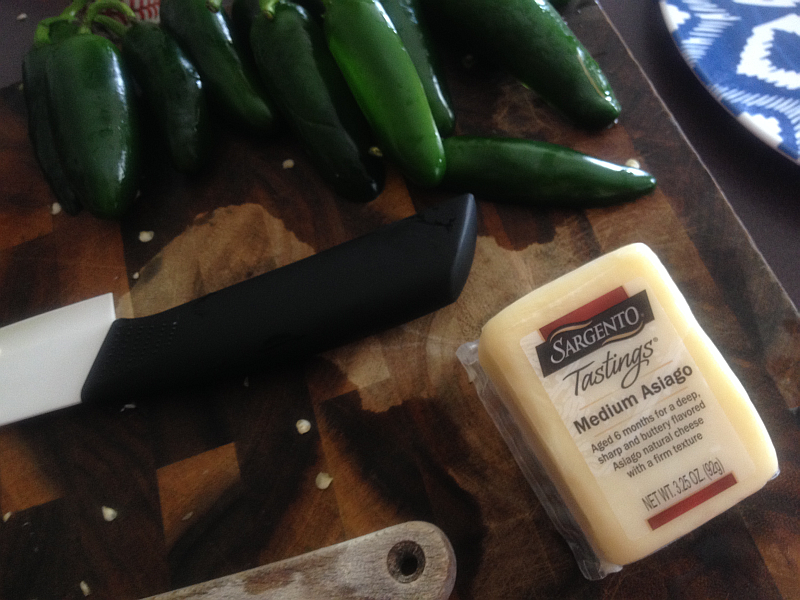 Cut a slit in the peppers – lengthwise (pictured above). Remove the seeds and membranes and discard. 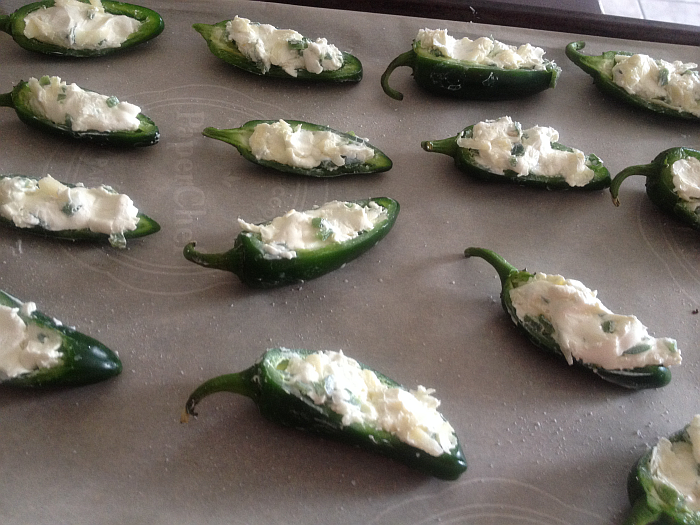 Spread about a teaspoonful of softened cream cheese into each pepper. Cut bacon strips in half and partially cook in a skillet. You want them to be pliable, so be sure not to overcook them. Wrap each cheese stuffed pepper with bacon and secure with a toothpick. 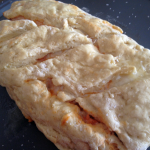 Place in an ungreased baking dish and bake, uncovered, at 350 degrees for 20 – 30 minutes. The longer you bake the peppers, the milder they’ll taste. If you have plenty of peppers to spare, I’d suggest testing one after 20 minutes, then (if that’s too hot) again at 30 minutes. They’ll actually be fine cooked for 45 minutes. Serve either by themselves or with a little dish of ranch dressing. 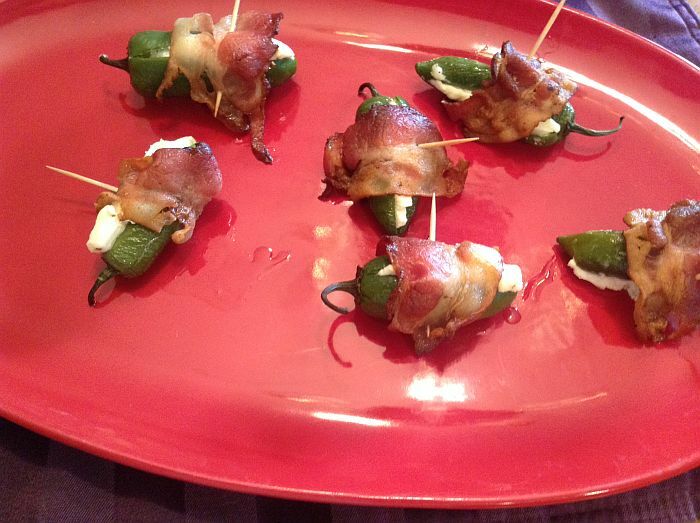 The bacon wrapped jalapenos drizzled with Ranch dressing are extra pretty and taste fantastic. The ranch helps tone down the heat of these little guys. Vegetarian Alternative? Just skip the part about wrapping the peppers in pork shawls. Place them in the oven, as is. Either serve plain or use a simplistic berry sauce like the one described below the picture. For the vegetarian (or baconless) version, I like to make a really simple little “Berry Sauce.” For the peppers shown here, I heated 4 TBS Red Pepper Jelly and 1 TBS Raspberry Preserves until I achieved the consistency I needed for drizzling. You can combine basically whatever fruit preserves you have on hand with red pepper jelly – I just prefer the sweetness of raspberry preserves. Drizzled across the top, it makes an already impressive and pretty dish even more so. This method creates a sauce that will thicken FAST, so drizzle asap. If it begins to get too thick to drizzle.. which it will… sit your bottle in a cup of hot water. If you’re feeling adventurous, here’s a Copycat Recipe for Arby’s Bronco Berry Sauce from Top Secret Recipes! For best results, use ultra-fresh organic vegetables. Soak the cashews in water for 3-4 hours. 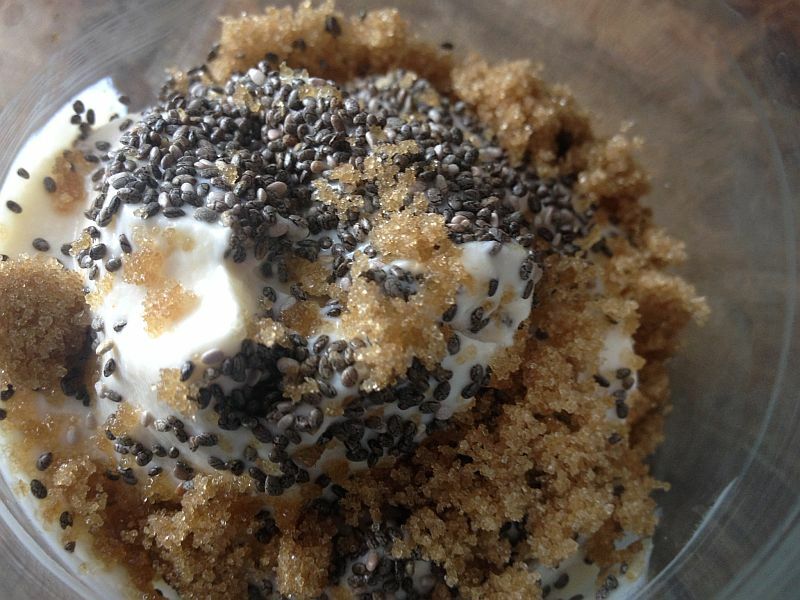 Combine with the stemmed and seeded peppers, lemon, salt and yeast in a blender. Puree. Taste the mixture, and if it needs it, add more salt and/or lemon. Recipe and Photo Credit: Paulding & Co. recipes. I’m a HUGE fan of kale – in smoothies, salads, pasta dishes, soups.. basically anywhere and everywhere I can sneak it in. One of my favorite ways to enjoy the tasty, inexpensive, and nutritious vegetable is Kale Chips. Even though I love kale madly, when I first heard about the concept of Kale Chips, I can’t say I was overly enthusiastic (or hopeful). Fortunately, I was pleasantly surprised and have made Kale Chips countless times since. 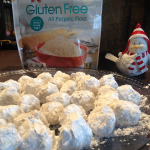 You’ll love the simplicity of the recipe and… I promise.. the flavor. Start with a beautiful bunch of curly kale (like the one pictured above). Wash the leaves and pat them dry. Pre-Heat the oven to 350 degrees. 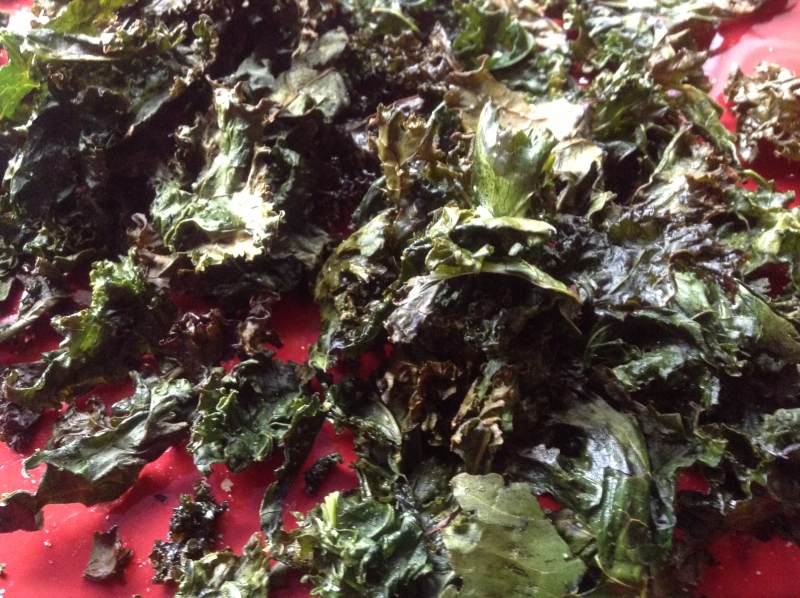 After the kale has been washed and dried, cut the leaves into pieces. The size is up to you, but I generally aim for “Dorito” size or a little smaller. VERY IMPORTANT: Cut around the thick spine that runs down the length of the leaves. I’ve yet to find any use for these spines. I throw them out in the yard for rabbits, racoons, and possums. They’re a hit with this crowd. Put the chips waiting to happen in a large bowl and add the tablespoon of EVOO. When you see the impressive amount of kale and the comparatively small amount of EVOO, you’ll probably think, “She’s nuts, it’s going to take a lot more than this!” – but once you add the oil and (using your hands), coat the leaves, you’ll find that the tablespoon is sufficient. 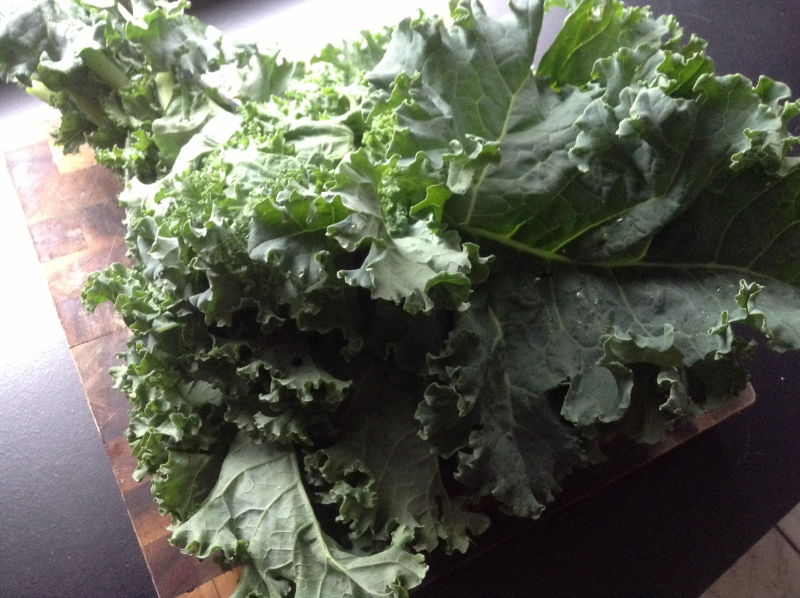 Lay the pieces of kale on a large baking sheet, in a single layer – make sure no one’s riding piggy back on anyone! Evenly salt each piece. Bake for 10 to 15 minutes. Be sure to keep a close eye on them – they’ll burn without a moment’s notice. 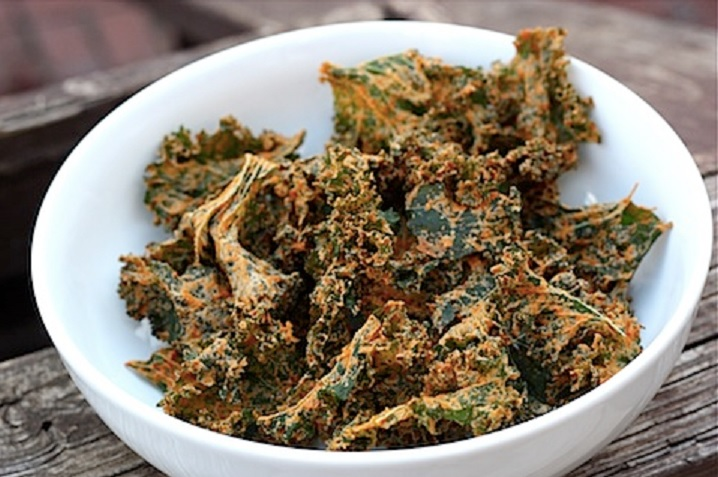 These delicious kale chips will amaze you. They’re so good! The crispiness, the hint of saltiness, and the unexpectedness of them will make them popular with everyone, even kids. 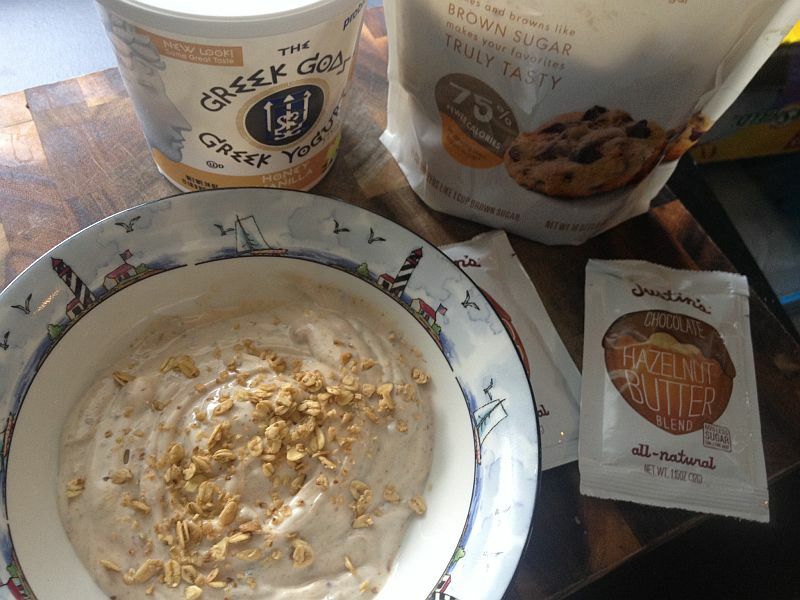 I like to keep healthy snacks at the end of the kitchen bar – someplace everyone can enjoy a quick and tasty snack. Kale chips are ideal. When watching tv, we all get the munchies, don’t we?! Kale chips are satisfyingly yummy and fun to eat. Take them along on car trips to keep french fries from tempting you off the road. 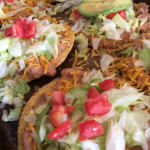 They’re a delicious, healthier option to traditional salad or baked potato toppings. 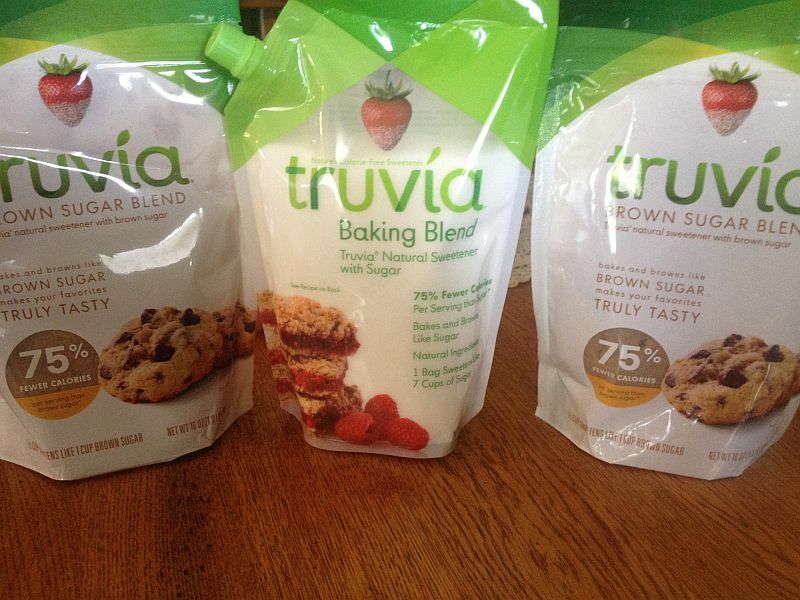 As with everything you make in the kitchen, be sure to experiment with different flavors and additions. Along with the salt, you could also add white sesame seeds, paprika, cayenne pepper, black pepper (I love black pepper on kale chips), garlic, or even Parmesan cheese. The possibilities are endless. When getting creative, though, I’d highly recommend just doing a few at a time the first time through. You can find quite a few Kale Cookbooks on Amazon. This superfood is a lot more versatile than most people think!